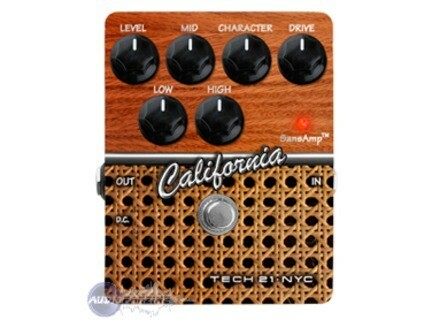 California, Guitar Amp Simulation Pedal from Tech 21 in the Character Series series. Mesa Boogie Amp Simulators. For more details see the manufacturer's website. Could not be more simple ... if not careful the effectiveness of hyper knobs ... they are dangerous!! I have to say does have some of the beginners ... I thought I had finally idalie pedals for my solos ... but ultimately I do gure its frquences in "large" saturation ... (Very loud). I redcouvre today not to give me sound big, but to make super clean and crunch. So it seems the nivreau gniale enough ... The clean and crunches are gaining in volume and clarity. It's wonderful twang!! 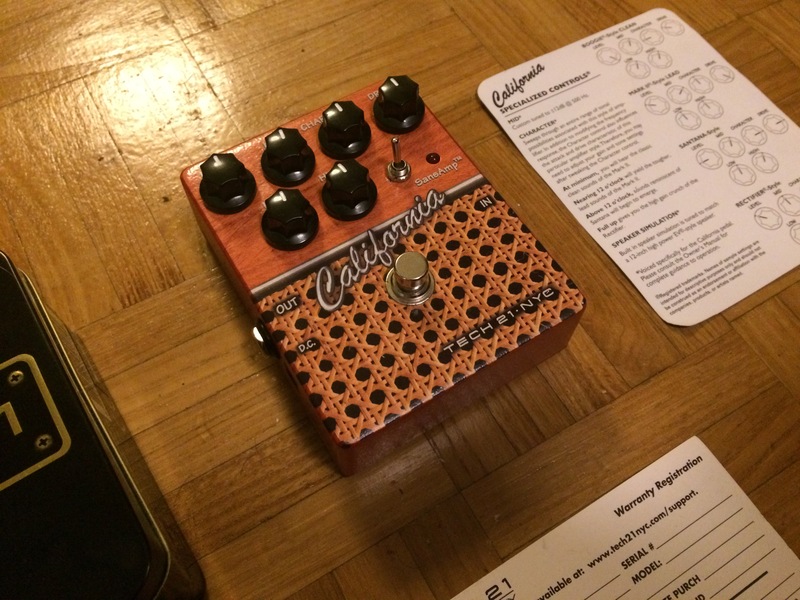 AnthonYHurleY's review (This content has been automatically translated from French)" A gem ..."
Pedal, which simulates some amp models MESA-BOOGIE. HP 12 simulator built in. 1 input and output Jack 1 / 4 "
6 plastic knobs (Level, Mid, Character, Drive, Low, High) extremely sensitive and effective. "In appearance" is a classic distortion pedal, with its many Bonton and light on / off, except it has a look of facade amp with wood top, the white border and beige canvas type vintage amp, it's funny. For my part, I got a good sound pretty quickly because I had already a clear idea and the purchase was not done randomly. 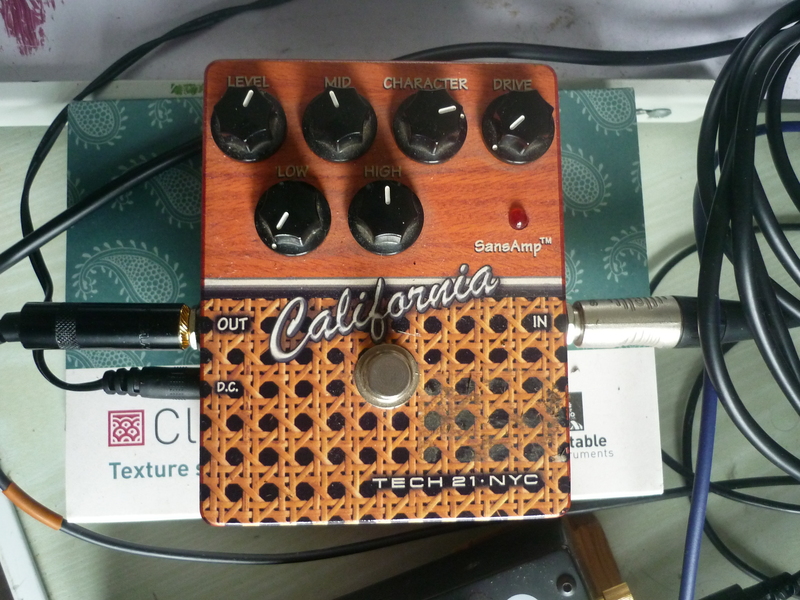 The sound quality of this pedal is undeniable. For simplicity, we put less of character, more sounds are crisp, clacking. More lifts his character, the sounds are more aggressive but have this annoying tendency to become mushy, but it is probably more or less up for it by playing with the low, mid, and high drive. I use since April 2010 and I am very satisfied. I wanted a sound very typical American, with harmonics and the grain so special that goes well with my guitar. Lacking the means to acquire a double or triple Mesa Rectifier and knowing that we are sometimes disappointed to eventually do not have the sound we waited, I pulled over this simulator and I do not regret it. 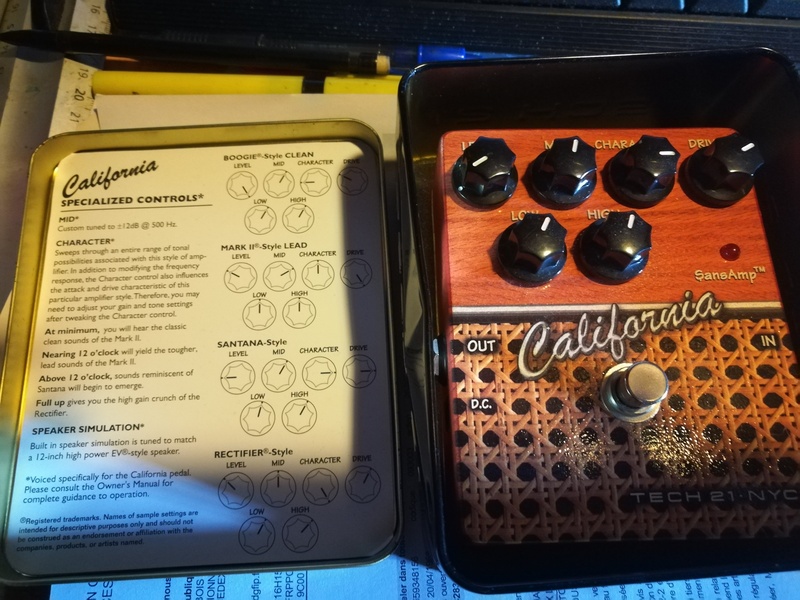 Used with a Fender Stratocaster Tom Delonge and a Hot Rod Deluxe limited edition customized, I have the sound I needed even if it seems unlikely at first. 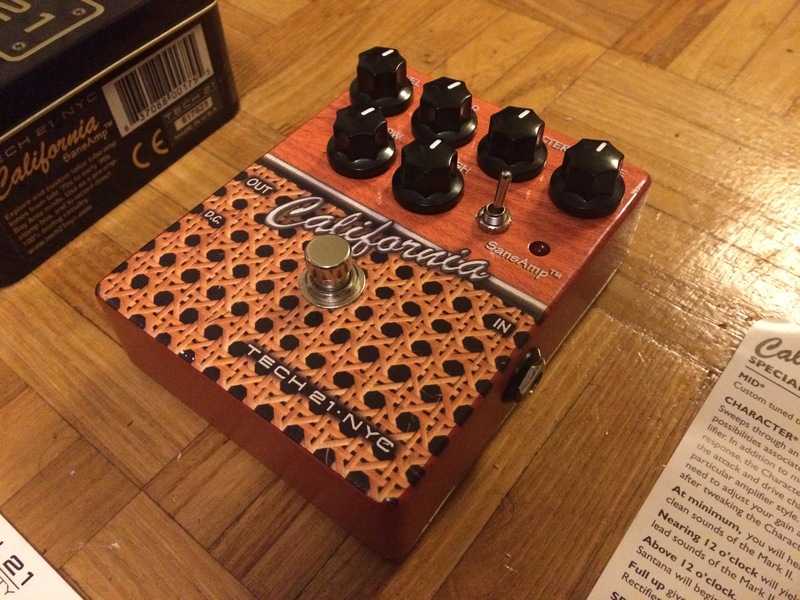 In short, a great pedal that needs to be tamed and that is what it's worth. 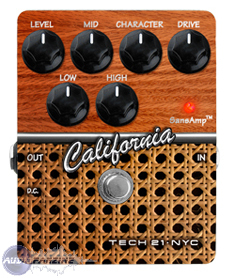 Tech21 is momentarily relaunching its SansAmp Character Series California pedal as a limited run.